The beginning of the new millennium has been particularly devastating in terms of natural disasters associated with tectonic plate boundaries, such as earthquakes in Sumatra, Chile, Japan, Tahiti, and Nepal; the Indian Ocean and the Pacific Ocean tsunamis; and volcanoes in Indonesia, Chile, Iceland that have produced large quantities of ash causing major disruption to aviation. In total, half a million people were killed by such natural disasters. These recurring events have increased our awareness of the destructive power of natural hazards and the major risks associated with them. While we have come a long way in the search for understanding such natural phenomena, and although our knowledge of Earth dynamics and plate tectonics has improved enormously, there are still fundamental uncertainties in our understanding of natural hazards. Increased understanding is crucial to improve our capacity for hazard prediction and mitigation. 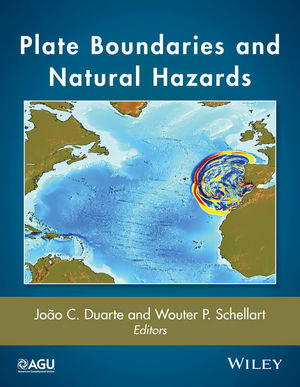 Plate Boundaries and Natural Hazards will be a valuable resource for scientists and students in the fields of geophysics, geochemistry, plate tectonics, natural hazards, and climate science. Dr. João C. Duarte, Research Fellow at the School of Earth, Atmosphere and Environment, Monash University, Melbourne, Australia. Dr. Wouter P. Schellart, Associate Professor at the School of Earth, Atmosphere and Environment, Monash University, Melbourne, Australia. 9 Seismic Potential of Thrust]Wrench Tectonic Interference between Major Active Faults Offshore SW Iberia: A New Explanation for the 1755 Great Lisbon Earthquake?